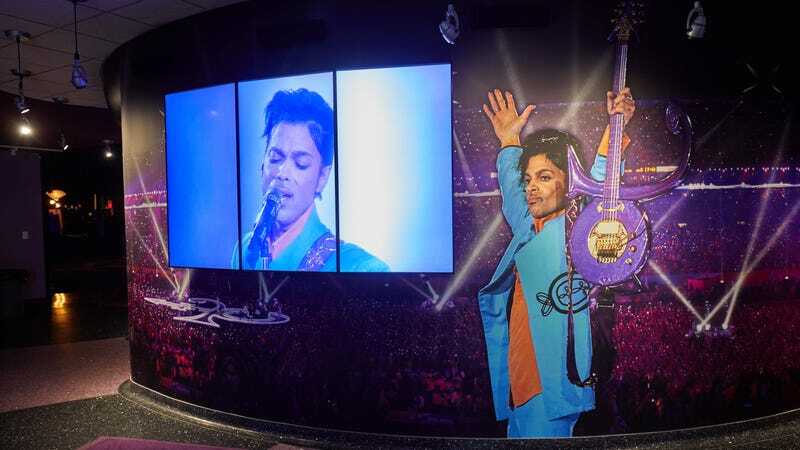 General atmosphere of Prince’s Paisley Park Museum during a media preview tour on November 2, 2016 in Chanhassen, Minnesota. Prince fans! Want to upgrade your April? Well, head to Minneapolis and get you a dose of The Purple One. The annual four-day event celebrating the life and legacy of Prince is back, entitled, CELEBRATION 2019. CELEBRATION 2019, will honor the unique life and legacy of the prodigiously talented cultural icon Prince Rogers Nelson. Taking place between April 25-28 at Prince’s historic home and recording sanctuary outside Minneapolis, the event will welcome fans from around the world into an inspired environment of live music, panel discussions and special presentations highlighting Prince’s tremendous talent, influence and importance as a composer, musician, producer, live performer and filmmaker. Musical guests set to perform at Paisley Park during CELEBRATION 2019 include internationally acclaimed musician, guitarist and original member of The Time, Jesse Johnson; Prince’s iconic group The Revolution, featuring Bobby Z, BrownMark, Lisa Coleman, Wendy Melvoin and Matt Fink; and Funk Soldiers, a fifteen piece super-group of New Power Generation and Paisley Park musical alumni. Plus, fans will get to enjoy a bonus event off-site, “PRINCE: In Concert on the Big Screen” at The Armory in Minneapolis. As KARE 11 noted, Paisley Park is also the home of Prince’s seven Grammy Awards, Golden Globe award, and Academy Award (Purple Rain). Prince died on April 21, 2016. His cremated ashes are currently held at the iconic studio, which was also his one-time home. Whew! I can only imagine the sheer energy that will be in the air for this celebration. Prince shall live on. For more information and to cop tickets to CELEBRATION 2019, head to officialpaisleypark.com. Baron Davis Finally Discusses Being Taunted By Donald Sterling: "I Didn&apos;t Even Look Forward To Coming To The Games"